Far from the classic beer pints and conventional cocktails, the Oyster Bar invents a new after-work with a series of molecular cocktails that celebrate seafood. 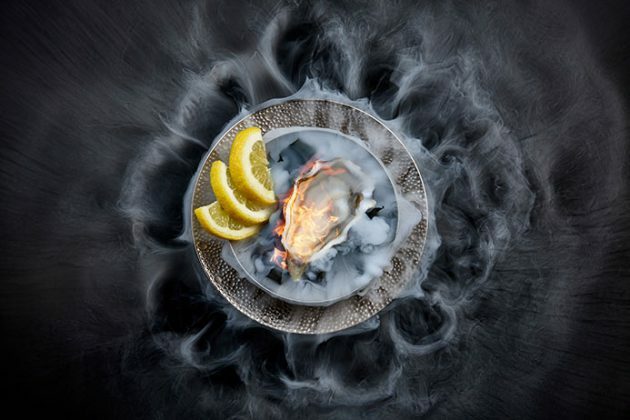 Every day from 5 pm to 8 pm Fans of experiences will be able to find some original cocktails such as the Spider-man Clamato or the Oyster Ginger Shot, a hollow oyster with ginger and lemon, flamed with vodka. And since we should never drink with empty stomach, even with moderation, an appetizer plate accompanies these creations. On the menu, gray shrimp, rillettes of wild fish and basil feuilleté.